As all of you guys know that the Himachal Pradesh Police Department has published the registration/application form for the recruitment of Police Constable over 1073 posts on 1stJuly. And now the last date of submission of application form is very close. The candidates who have successfully applied are searching for the recruitment are now searching for the HP Police Constable Syllabus 2019 but the department has not updated any notification regarding the syllabus but hope that they will update it very soon. But the candidates are searching for the HP Police Syllabus over different websites and various search engines. And if you guys are among them then you have got the right place as in the below section we have provided latest version of Syllabus. So you guys go to the below section and check the Syllabus. And for any type of further updates of HP Police Constable Syllabus stay connected to us. A job in the defence sector is highest reputed post as they live for their country. So the candidates who have applied for the recruitment will got the high reputation if they got selected. And for their selection they need to be well prepared for the written exam according to the HP Police Syllabus 2019. 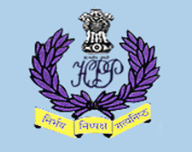 In the below section we have provided the detailed syllabus of HP Police Constable. If you guys are willing to get selected then you should go through that at least once before appearing for the exam. And for future updates of Himachal Pradesh Police Syllabus stay connected to us and keep visiting us at regular intervals. The written examination will be held in the respective districts, preferably on the same day for all districts. The written examination will be of 80 Marks. Objective type of questions will be asked. 60 minutes will be the allotted time limit. The written examination will be of 10+2 standard except for Mathematics for which standard shall be of Matriculation. Here in this paragraph, there is the details version of Himachal Pradesh Police Exam Pattern 2019 along with the direct link to download it in the pdf format. You guys can check or download the exam pattern as per your convenience. Here we are providing you guys the latest version of Himachal Pradesh Police Constable Syllabus along with the direct link to download the syllabus. So you guys can check and download details easily. In the above paragraph we have provided the detailed version of HP Police Constable Syllabus in a tabular format along with a direct link to download the syllabus in a pdf format. You can guys can check or download the Syllabus as per your convenience. And if you guys are facing any kind of problem in downloading the pdf then you can tell us through the comments. We will try our best to solve your problem as soon as it is possible. And for the future updates of HP Police Constable Syllabus stay connected and keep visiting us in regular intervals.